PARADIGM WORLDS 1.10 FULL MOD installation file. Please read the description! Just download file, unpack. If you have previous instalment - DELETE it. If this your first time, then if happy for, cause you don't even imagine what sort of world awaits just in a few minutes away. PLACE unpacked folder into MODULES folder in your Mount&Blade. Click MB icon and choose PARADIGM WORLDS from menu. Now, you have a chance to turn of RAGDOLLS. You can always do it when in game options menu. And welcome! What is in VERSION 1.10? now this is cool: SLOWMO! Yeah! Now wielding melee weapons grants you access into RAGE MODE - PRESS V, or if you use bow or pistol go into RANGER MODE PRESS N. Warning! SLOW MO ONLY WORKS IF YOU CHECK CHEATS in the starting menu. all mercenaries troops are organised into a new faction, with huge promotion tree, up to high tech operatives. From medieval fighter to hitech security operative! Weimears have been reorganised too, so they present fresh, interesting troop tree. to make Weimears more interesting, and flexible, they have been equipped in new weapon, semi-auto, mechanised crossbows firing explosive darts. there are new weapons in general, lots of new firearms, energy weapons like GaussGun, new Bio-Shotgun, name it. AI and all NPCs have learnt to properly use MACHINE GUNS, welcome to modern battlefield and tweak it as you like AUTOFIRE for NPCs! Yeah! new explosive arrows for bows, some bows can now shoot 4 or even 8 arrow, like shotguns. What that can do, you will see when you mess with REDONE Fantasy Magioucracy faction. BEGGINERS SHORT GUIDE - Ask Tavernkeeper how to... or you will see. Just go and speak to him. some ammo has been changed and has special effects. Additional description is short, but I hope easy to understand: (+50DMG, 2,5m) which means that to normal hit damage it causes also 50 dmg in radious of 2,5 meters. There is even special ammo against skeletons and vampires. build own demon - you can promote your personal troops to fully editable personal order troops. Give them gold to upgrade them to diversified killing machines. These guys from your personal order do not take hostages. Or they do, if you tell them. Anyway. You can not only choose their equipment, but you can also share with them your renown and train them to be better soldiers. I have specially created lots of new skins and weapons for demon-/ beast kind order troops. Yes, you can upgrade order troops into a boss-kind troops and even EDIT THEM. And TRAIN them. Yeah! To make things easier but also more interesting: you have new options in editing some of your companions. Speak to Tombstone, Max, or Jason to see their private inventory. Or should I say ARMORY? They all have exclusive weapons and armors, with different weight, protection or efficiency or just look that you can combine on various levels. You cannot take their items, but you can choose from different weapons, armours and skins. I have even mixed one track - imbalance_of_paradigms. I know I really lack talent, but it sounds in a way that fits paradigms, it helps me describe how I imagine paradigms, and how I want you show them. there is new set of troops, most advanced have 'invisibility'. They are partially transparent and I hope you will have issues trying killing it. Predators have been sent to serve Alien Shogunate. WARNING: with SHADER set to high on my card predators become invisible, but on MEDIUM or LOW they are partially visible, as on presented screens. Second option was intended. improved SEA travels and BATTLES. Now not only you gain loot after battle but also fate on seas is more generous. It can be even better if you learn sailing skill, or train any of your companions. Lead Uruk tribes into one last war. Another fresh start scenario! QUALITY. Now it does matter. A LOT. You're gonna see, that you got, what you pay. On the battlefield QUALITY of each part of equipment improves or dampens TROOP OVERALL efficiency. Example: You got BALANCED bow? You will be better soldier. You use cracked microchip? Uff, just shoot yourself now. It is better to have bit lower grade items of good quality, than cracked 'elite' level goods. Best quality items improve efficiency around 5%, each one and bonuses stuck together. Someone with a good engineer skill is able to squeeze even more! A NEW LOGIC IN GAME: I call it 'levels of management'. Generally you have to deal with DoomsDays, Mutagen points, Renown and Honour. Training personal troops costs your renown and doomsdays. The closer you are to the 666th Doomsday the harder it will be. So, maybe in your interest is creating havoc, so counter would reset. You will loose some gold, loose few points of attributes, but if you invest in new MUTATION skill, you can easily reincarnate into something lot more powerful. Of course, you still have to deal with Ketele's army, but with new feature, you can find allies amongst other lords (all, but Morloks hate Cultists!). You can base your army on any of 24 factions in the game, but if you decide to train your personal troops, you might see that at some point that investment can bring highest revenue. You will have to balance with honour too, you may need different allies in different situations. I wanted this new logic to be rewarding at every level from general map management up to detailed battlefield. Have fun! I will try to launch few quick-fixes (I don't really believe that they will be really needed) before I get into big again. I doubt that there are many people who could even read all lists of changes. Generally what I am saying is that do not worry is something doesn't work exactly as promised, such issues might happen. "You know, I wonder what would happen if you just, combined all of these mods"
So I went to create a character and it wont let me click "done" on the stat allocation page even tho I spent all my points and named my character, help? Where am I suppose to sell the heads? I tried Legion Camps and Sociatel, but no luck. Sell them? In any marketplace. 1) Go to the halls of castles or cities, where the lords and ladies hang around. 2) Find the soldier of the order. They often take the places of the guards, so check that up first. If no order soldier is there, go to the next castle or city, you're bound to find someone eventualy. 3) Talk to the soldier, and offer to give them the heads of their enemies. Then, select the heads you want to give them. Thanks, I found it today and yesterday a played a lot this mod, you can sell them to factions like Socieeal those Rome looking guys and Justice league for much more money then marketplaces, but it's not worth it later in game. I've been expiriencing some pretty awful crashes as of day 100, more or less, when the doomsday clock ticks at 400-500. Maybe because there's a lot of things happening in the map all at once, but I don't think it's because of the graphics settings. Up to this point, it ran smooth as silk. Now, not even making the game a polygon fest seems to prevent it from crashing. I would wait for a quickfix to come up, but I was having so much fun. Is there a way to fix it? i detect when i select equipment for personal guard\skitmisher\etc some begining equip missing in right section. bug? Personal skirmisher not use Project p-545 witch explosive catridges in battle, but in arena all ok.
request: ability to save a inventory for personal\order initiate mans. Yes, I know about that world map stuttering. As a matter of fact here should be a patch that will fix that issue. You can try to play your old save game however I don't know how much it will be possible. Reason for crashes was that few items in the game had same names, there were two scripts (out of over hundreds) that affected themselves in a bad way. etc. Code compiled without errors, however when I used another way (3rd party compiler) I found out that there mentioned above issues that could cause that problem. Now, as you probably know, there was one common place near desert where parties got stuck. I have repaired that place on map, but old save game will see only change in terrain (like there is no more forrest, but plains) but it will not 'see' different terrain shape in xyz (width, height, etc). I suspect that editing map and playing the same save can also cause crashes. I am not 100% sure, though. I've been testing new patch and world map works like a charm, there is no stuttering, so it looks that problem is solved. I am really sorry, cause I don't like to abandon my old gameplay (and I do it all the time because of tests), but this is all I can do, fix things. By the way, thanks for helping people and providing them with info! Summary: you can try your old save but even if it works better it may still crash at some point. 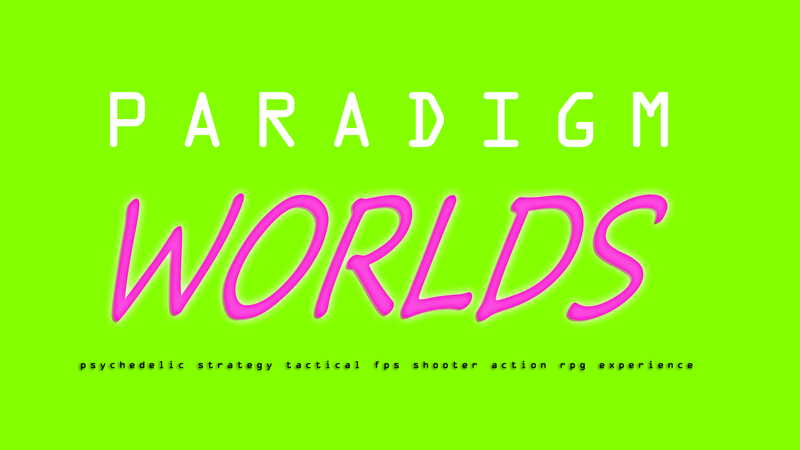 Paradigm Worlds 1.20 patch is ready in DL section. Thank you very much for the quick response! Yeah, that character is lost, I can't load the save anymore without the game crashing. But I know you did everything you could so as to prevent that. And if you say that the map stuttering isn't an issue any longer, then I can't be happier! EkuDza Equip custom troop works good. All you have to do is move items from RIGHT SIDE TO LEFT SIDE of inventory. Do not equip body in the center of the screen, that does not work. Only pistol and other single-shooting weapons like pistol or sniper rifle use explosive/shock ammo ie actually shoots explosive rounds..
SMG, Carbines, machine guns - they use predefined tracer ammo. - SMALL GUNS: revolvers, pistols etc, can use any firearm ammo. Yes, you can load a panzerfaust grenade into a revolver. - BIG GUNS - shoot only deafault ammo depending on CLASS. AUTO SMG's shoot YELLOW tracer ammo, ASSAULT CARBINES use GREEN tracer ammo, ASSAULT RIFLES - RED - tracers, HEAVY MACHINE GUNS and EXPERIMENTAL WEAPON shoot only BLUE tracer ammo. - SNIPER RIFLES - they got their own SNIPER MODE, it is a huge zoom combined with slow-mo. PRESS T for this mode when you have eqipped sniper rifle. You can also load them with any kind of FIREARM ammo, like explosive shells, etc. Warning! SLOW MO ONLY WORKS IF YOU CHECK CHEATS in the starting menu. That may be not ideal... may be a bit misleading but is as good as I can do it for now.